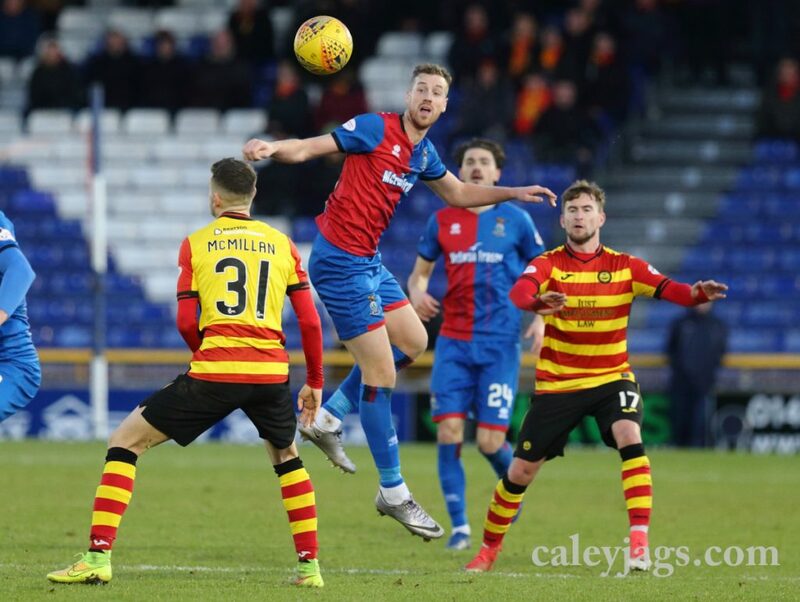 A quickfire double from Steven Anderson and Aiden Fitzpatrick sealed the win for Partick Thistle as home debutant Darren McCauley prodded home to set up a nervy ending as ICTFC tried to stage a late comeback. It eventually finished 2-1 to the visitors. Even though ICTFC sat 4th in the table, with Gary Caldwell’s squad sitting near the bottom end, results between the two teams had always been tight. ICTFC secured a satisfying 1-0 win away earlier in the season at Firhill Park via a Tom Walsh screamer. 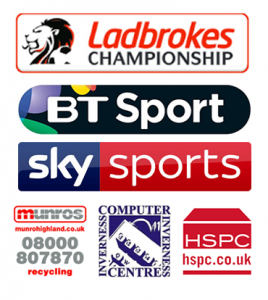 The last fixture held at the Caledonian Stadium finished 3-2 to the Caley Jags. John Robertson was able to shuffle the deck slightly by making two changes from the 3-2 win at Ayr last Tuesday. Jordan White partnered Nathan Austin up front in place of the departed George Oakley and Kevin McHattie was swapped with Carl Tremarco. Cammy Mackay was making his home debut between the sticks this season while Mark Ridgers still recovered and Hearts loanee Anthony McDonald kept his place in the starting lineup, appearing in Inverness for the first time since arriving during the January transfer window. 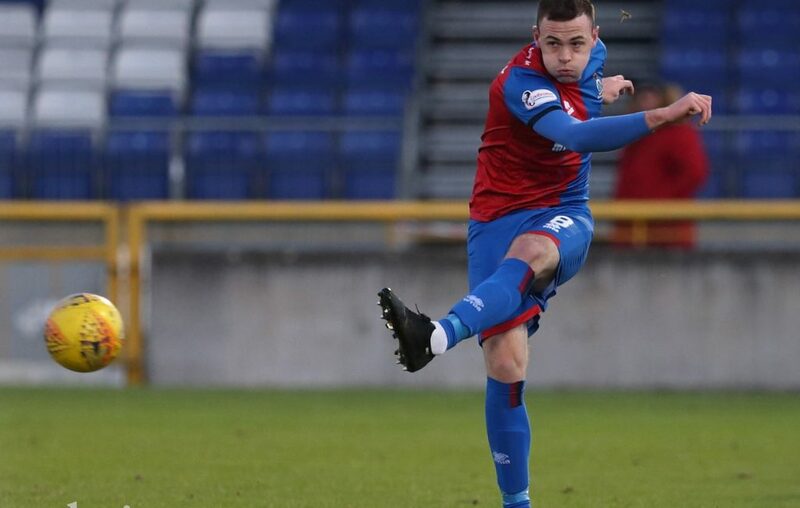 It took 14 minutes for the Caley Jags to test the visiting Conor Hazard in the opposite goal. 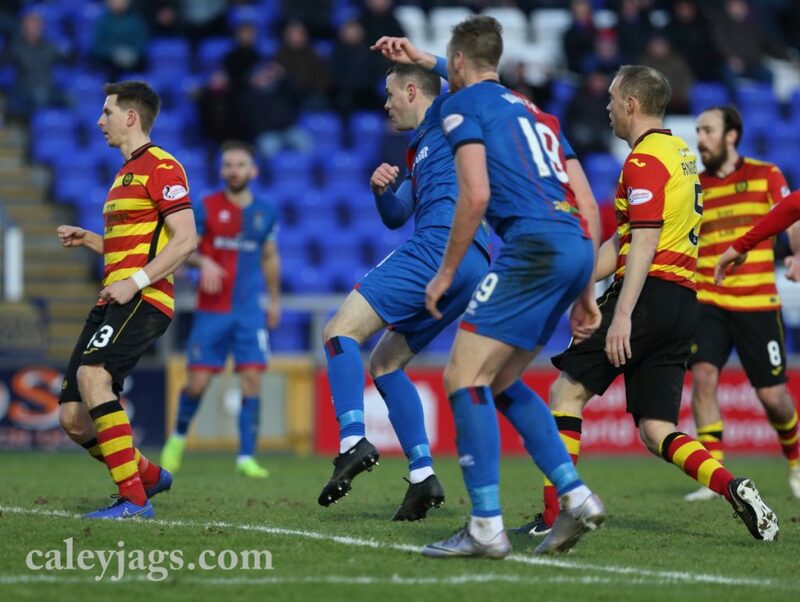 Partick Thistle failed to clear constant crosses from all angles as ICT worked it around the goal, and it eventually landed to captain for the day, Sean Welsh. The midfielder cut across the ball and hit it low to the near corner from outside of the box, but Hazard got down to save fairly comfortably. As each side tried to gain control of the game, the visitors created their first big chance to open the scoring by forcing Cammy Mackay into a great save. 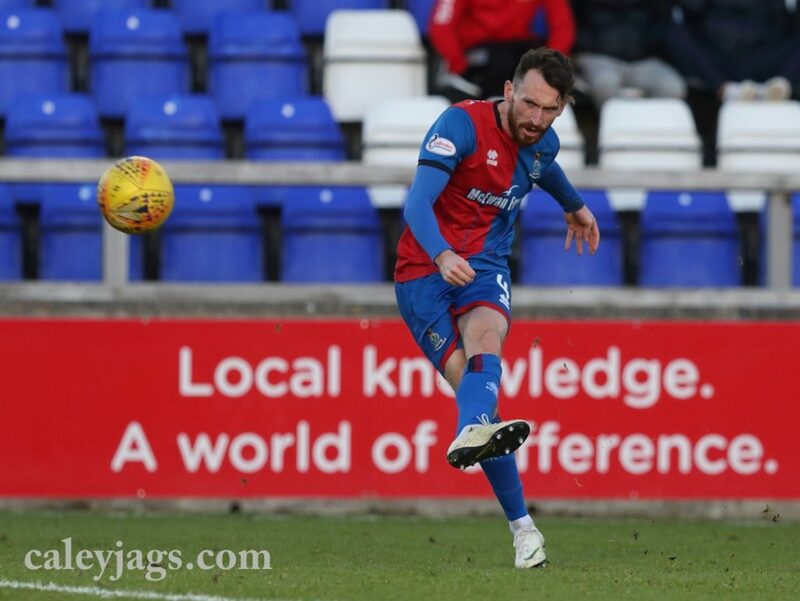 From a corner, which the Caley Jags contested, the ball fell to Blair Spittal on the perimeter of the box, who rolled the ball onto his left foot and took aim, forcing Cammy to tip the ball over as it seemed destined for the top of the goal. From the resulting corner, the visitors knicked ahead via an unlikely leg. The cross was flashed across the goal in the no-man’s land between defence and goalkeeper and Steven Anderson reacted quickest. The defender was able to pounce on the unclaimed ball and slot it into the net to give “The Jags” the advantage. Shortly after the goal, Caley Thistle tried to play up the pitch in an attempt to respond quickly but it was stopped perhaps aggressively via a tackle from Christie Elliott on McHattie. The defender launched into a challenge two footed that took out the left back but the referee deemed it as acceptable. Just as the hosts were trying to settle into the game, Partick Thistle struck again to extend their lead at the 25th minute. A pass was played out from the back that eventually got to Brad Mckay about 35 yards away from his goal. After a few touches, the defender was pressed by red and yellow shirts and was dispossessed in open space after his legs became tangled. Aidan Fitzpatrick was able to run 1 on 1 in open space and slotted past Mackay for a 2-0 lead. A double substitution after the break was made in order to control the game, with Charlie Trafford and Coll Donaldson coming on to change the formation from a 4-4-2 to a 3-5-2. From then on, the home side looked more comfortable. Playing as a wide center-back, Kevin McHattie made an excellent tackle on Miles Storey in the box to prevent another chance for the away team. The left back timed his challenge well to fairly stop the former Caley player. After Jordan White was pulled down by a Partick Thistle shirt at the 63rd minute, Joe Chalmers hit a low freekick that evaded the wall and was only stopped via a combination of legs in the box. Robbo’s team would eventually get a goal back and this time fortune fell in favour of the home side. Recent signing Darren McCauley was the first player to react to a deflection from the post by Anderson’s leg, after the backline failed to properly deal with a cross from the left side. The Northern Irishman had all of the goal to aim at as it bounced just to the left of the far post and he stabbed home.